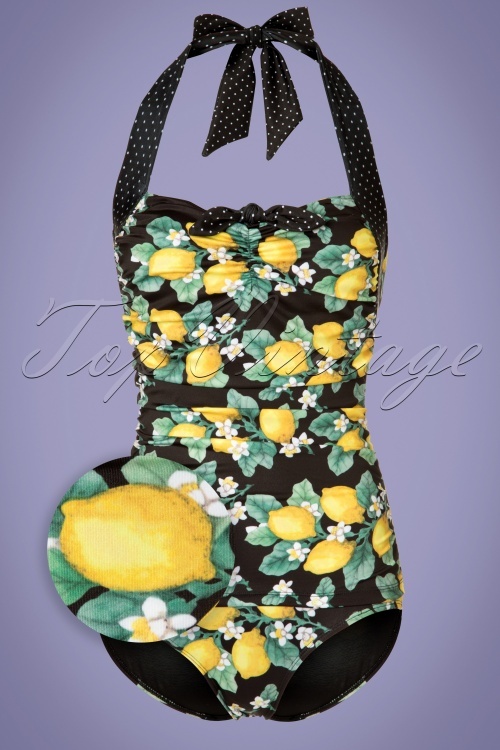 When life gives you lemons, we'll send you this 50s Lemonade Swimsuit! 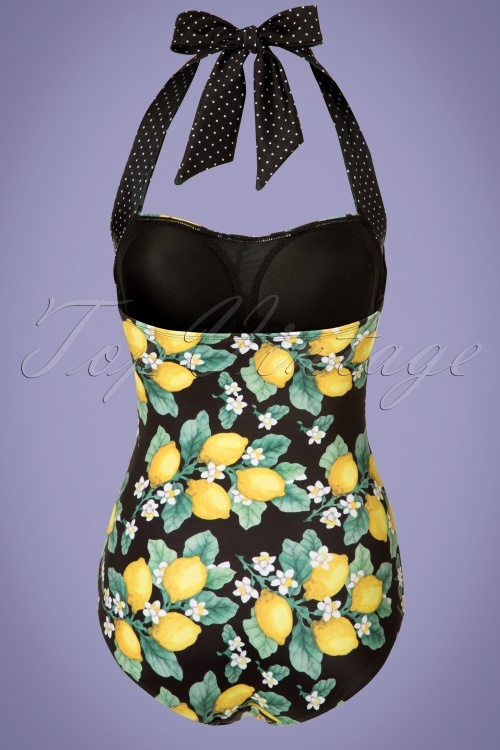 You'll look fresh and fruity when wearing this cute Lemonade swimsuit ;-) This beauty features a halter top with pleated sweetheart neckline, two fixed adjustable black halter straps with pin dots which should be tied in the neck, a playful bow, flattering gathered sides, a skirted typical fifties front, ruching over the tummy and low cutted legs. *Sigh*... what's not to love?! 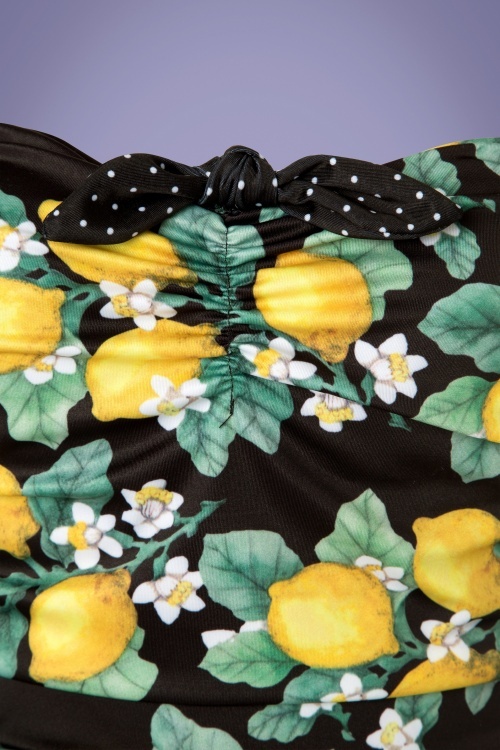 Made from a comfortable, stretchy black fabric with a stunning lemon and flower print in fresh yellow and green tones and inside the swimsuit you have all the support you could possibly need; sewn soft cups with an elastic band under the bust ensure a perfect cleavage. 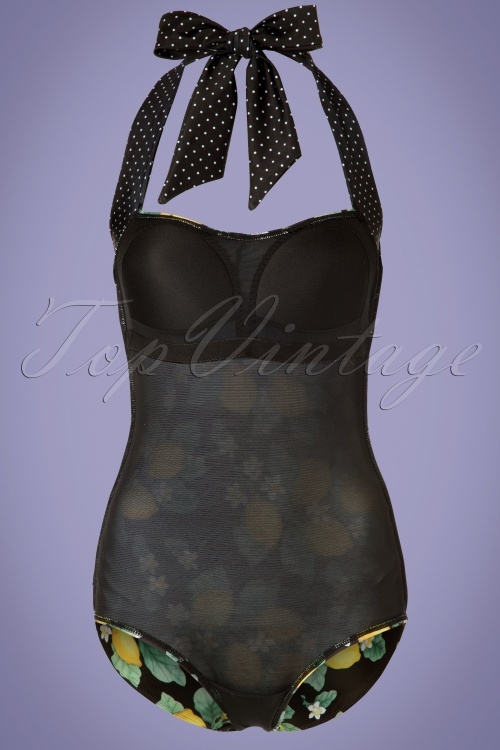 Be a fabulous beach babe in this fifties style cutie! Mooi maar zal waarschijnlijk de halter veranderen naar gewone bandjes anders ga ik last krijgen in mijn nek.